Microsoft has lifted the lid on a new line of specialist Xbox One controllers to be released worldwide, with the first one due to launch next month, April 25. Sporting a $69.99 price tag, the Recon Tech Special Edition (pictured above) will be the first in a new line of pads that Microsoft is calling the ‘Tech Series,’ all of which have been designed with military technology and performance patterns in mind. That doesn’t mean it’s going to be particularly useful in a real life combat scenario, but it certainly looks the part. Boasting premium finishes such as laser-etched textures and gold accents, the underside of the controller features rubber grips for “added control and comfort,” and, of course, has all of the same features of a standard Xbox One gamepad. It’s always nice to see console manufacturers give consumers different options when it comes to playing games and navigating interfaces, especially given how much time we spend holding them, and Microsoft certainly seems to be at the forefront of such efforts. 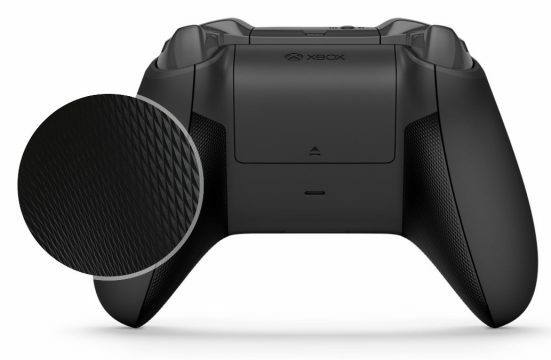 While this particular iteration of the Xbox One pad doesn’t really scream innovation to me, the presence of grips is a feature that I can only hope becomes a standard inclusion for controllers down the road, what with how sweaty one’s hands can get during extended periods of play. We’ll see what future entries in the new line bring to the table, but I’m personally hoping to see more products in the same vein as the Elite Controller, i.e. gamepads that complement certain styles of play. Let’s just hope that if such things come to fruition, they don’t experience the same supply issues as that piece of kit did.